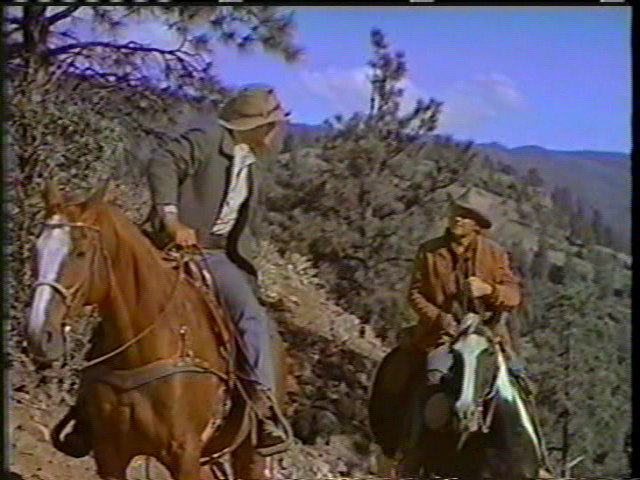 A drifter (James Cagney) and his hotheaded new acquaintance (John Derek) are mistaken for train robbers, and shot by a local sheriff (Ray Teal). With the help of a Swedish farmer (Jean Hersholt) and his daughter (Viveca Lindfors), Cagney nurses Derek — whose leg has been crippled — back to health. Soon Cagney is elected as the town’s new sheriff, with Derek as his deputy; but Derek’s resentment over being injured for life leads to unexpected consequences. Made in between his better-known Johnny Guitar (1954) and Rebel Without a Cause (1955), Nicholas Ray’s Run for Cover clearly conveys Ray’s interest in (and sympathy for) societal misfits, as well as his concern with Freudian “parental” relations. 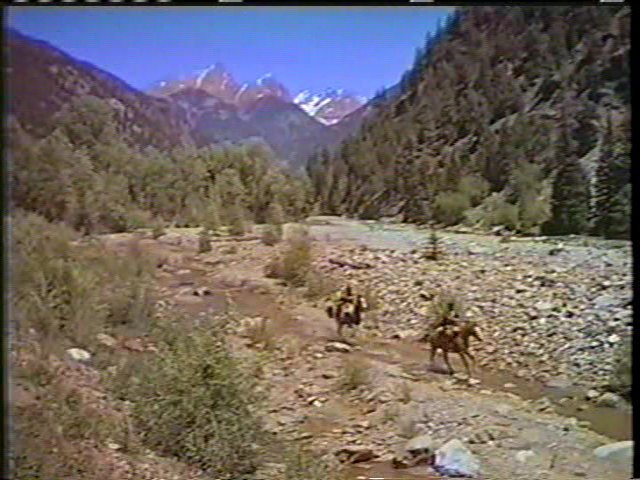 The opening scenes of the film — following the memorable, rousing title song — are particularly strong, as Cagney and Derek’s friendship is established, only to be rudely disrupted by the impatience of vengeance-hungry townsfolk (who are reminiscent of the frightening posse in William Wellman’s Ox-Bow Incident). Once this initial drama of mistaken identity is resolved, Cagney’s character gradually emerges as a more complex figure than we expected, and we watch with interest as he takes on a deeply paternal interest in the bitter young Derek. Unfortunately, the script begins to unravel towards the end, as events (and character motivations) take some unexpected turns, and Cagney’s relationship with Derek takes a turn for the melodramatic. Equally disappointing is Cagney’s budding romance with Lindfors, who — despite her fine performance — is hampered by the relentless stereotypes (loyal daughter, admiring wife) afforded in her role. Despite its flaws, however, Run For Cover remains a worthy western to check out once, and will be of special interest to fans of Ray’s unique oeuvre. Being among Ray’s fans (he’s at least in my top ten of fave directors), it’s easy for me in cases (such as this) to root for even his minor work – and I find I stray from the assessment here. First off, I find the opening theme song off-putting (rousing though it may be). It was very common in westerns of the period to have such a whip-crackin’ (even if not literally) tune at the start. Here, I find it jarring somehow. I don’t actually feel that the script “unravels toward the end” – rather, to me it builds and becomes more interesting as it goes. It has one unique aspect – Derek’s duplicitous and therefore destructive taker of a character. (Derek is not a great actor by any means, but he manages to convey the creepiness of the calculating opportunist who sways with the wind.) This character drives the film for me – and remains the constant for Cagney’s desire to encourage and forgive. I don’t particularly find Lindfors’ character a stereotype, esp. with what she breathes into it. Given the period, and being a foreigner in that period, it’s believable that she would be so constrained. (Note, though, that she’s surprisingly forward in her relationship with Cagney.) The only wrong note I find re: her character is that she’s directed to be much too removed when her father is killed. Again, I wouldn’t say it’s a great film, but it’s certainly well-made, and worthy of being a once-must.